The story that you are about to read is true. The names have been changed to protect the innocent people who got stung by ants in Phoenix in the 1960s. This is based on an experience that was shared with me by one of my top PhDs (Phoenix History Detectives). He was a kid at the time, and could laugh about it then, as now. 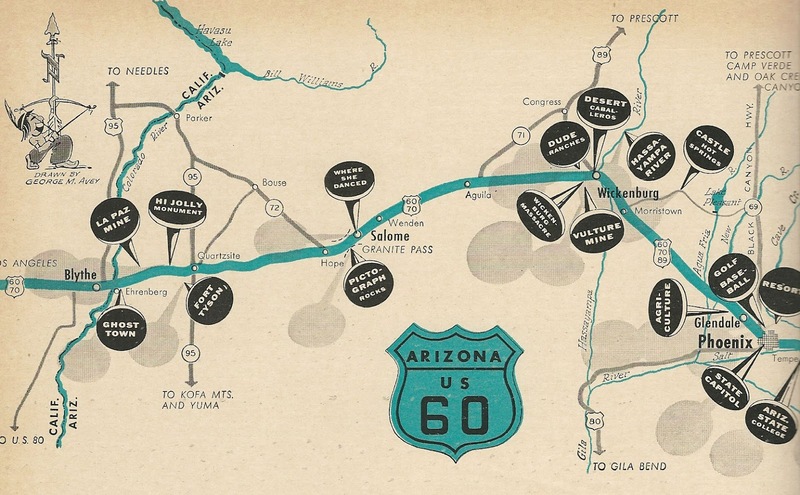 It's the 1960s, and we're leaving Phoenix on our way to California on Highway 60. We always have fun on these trips, because mom gives us plenty of sandwiches made with Holsum bread and bologna. Mom and Dad prefer sandwiches made with cucumbers and Braunschweiger sausage (yuk!). So yep, no fancy restaurants for us, but that's great because we're kids and we love to sit at the picnic tables at rest stops. You never know what's going to happen! OK, let's have those sandwiches, I'm hungry! But wait, what's that? I see a couple of big ant hills, and you know what that means - those nasty stinging red ants. Let's get out of here. Back in the car! Image at the top of this post: US 60 map in the 1960s, the road from Phoenix to California.